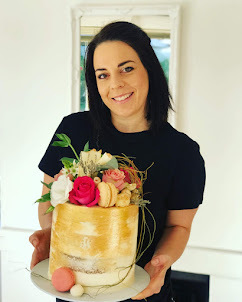 Birthday cakes Cape Town: Stunning Rose gold 21st Birthday cake for a party in Stellenbosch. This cake is 22cm wide and 20cm high. More than enough for 40 guests.